Happy November! And how in the world did that happen already? I can't believe we are just a few weeks from Thanksgiving and then it's only a sleigh ride to Christmas. Wheeee. Paint talk! 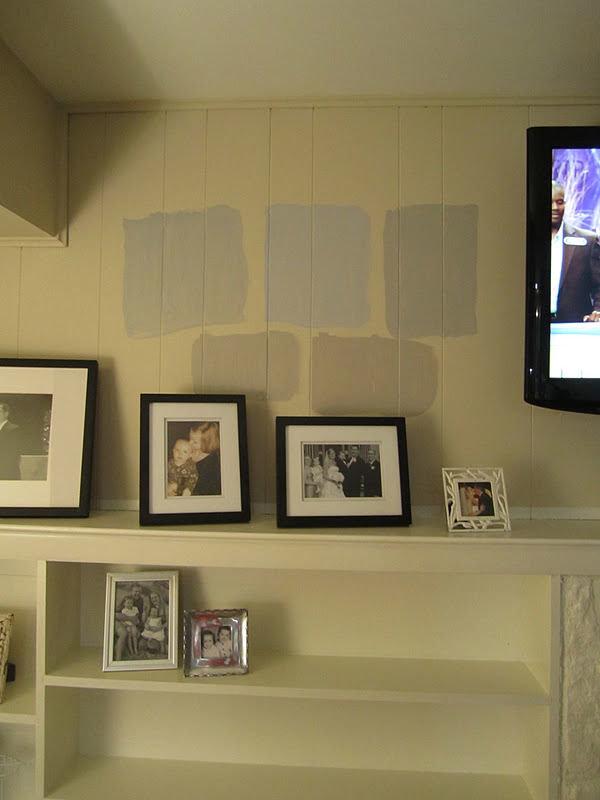 Now that my fireplace and built-ins are painted white, it's time to get some paint on the walls. 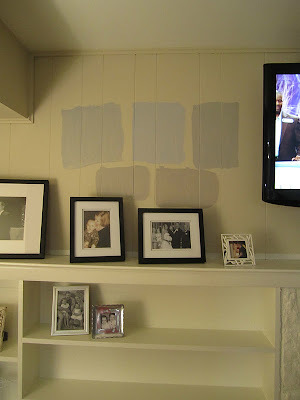 I decided to pick five options (all Sherwin Williams) and use Olympic One paint again, since I had such a great experience with that paint in my living room. My paint swatches are (in order through all pictures either from left to right or top to bottom): Argos, Lazy Gray, March Wind, Mindful Gray and Requisite Gray. This is the part of my room transformations that my husband absolutely hates: he cannot stand the test squares on the walls! That is partly why I do it ... not to make him mad, but to force me to make a decision and get paint up on those walls. I'm really glad I waited to paint the walls until this point. I have my furniture in place and now have a better idea of what is needed on the walls. If I had painted a few months ago, I would have gone with a lighter color, which would have been a mistake. I am usually all about light and airy and white in a room, but in the case of my den and kitchen, I need a darker color to balance out all the white in the space. 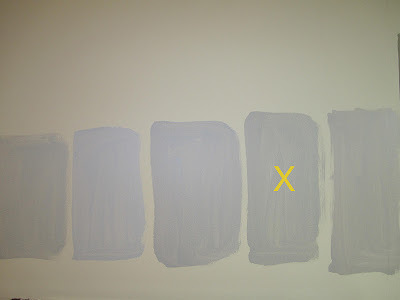 Let's do a little tour of the paint swatches around the room, shall we? Here is what I'm working with: the fireplace and built-ins are gorgeous and crisp but whoa white right now because the wall color is so light. The gorgeous curtains that I made for the windows don't pop like I know they can, because the wall color is so similar to the background color on them. 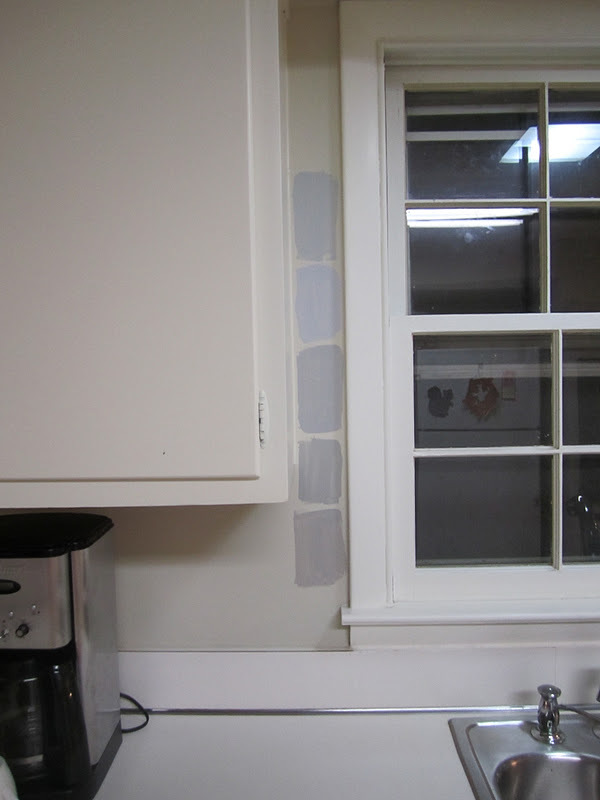 Also, the trim around the windows is very similar to the wall color. My kitchen is uber-white. You know how much I love white kitchens! But the floor, cabinets, counters, appliances are all white. I want to tone down White City. Finally, the breakfast area: with my chairs painted white and the table a soft Comfort Gray, I definitely need something darker on the wall. 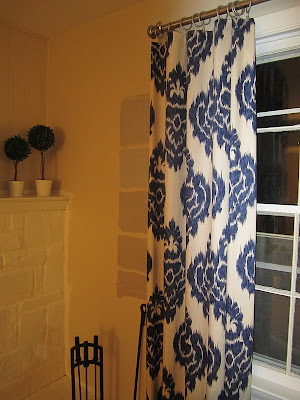 I love the color and I feel like it will be absolutely perfect in the den and kitchen, not to mention in other spaces in my home. March Wind was nice too, but the more I lived with and looked at it, the less I liked it. It was a little too dark and a little too blue. I think Mindful Gray will be just right. Stay tuned ... my sister and I are painting this week! I'll get a jump start by taking a few hours each night when the kids are in bed to get some paint up. It's a big space with lots of cutting in. Oh boy. Talk to me about your own paint behavior. Are you like me and invest in swatches on the wall? Do you prefer a lesser commitment approach? 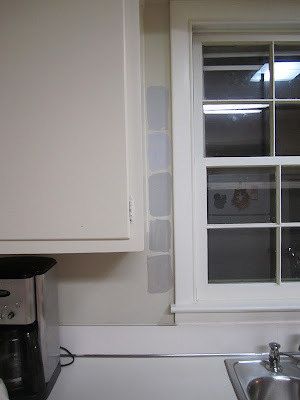 Do you wing it and just pick a paint chip and hope for the best? 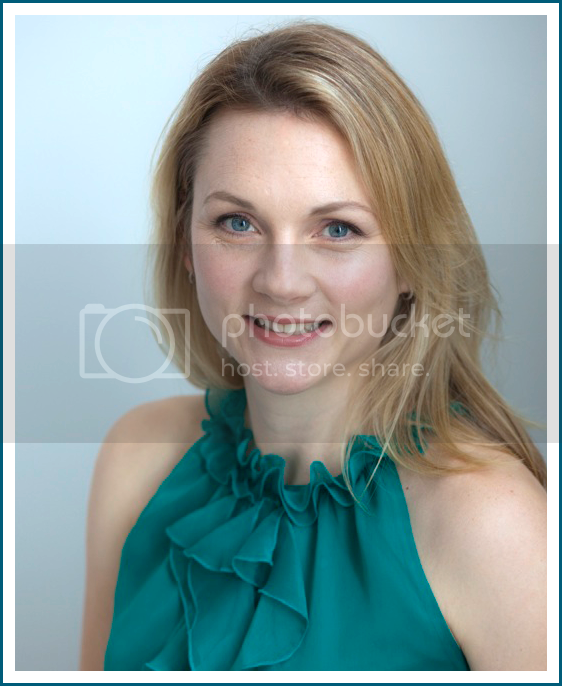 i was about to post a comment to say i like mindful grey the best and voila, scrolled down a bit more and you picked it! great minds think alike. can't wait to see the results! Great choice! I have never purchased a sample can of paint. I usually just hang the paint chips on the wall and make my choice that way. Oh, I can't wait to see that color on your walls--it's going to look soo great! I haven't painted walls in my homes in almost 10 years since I left for college and joined the Army. I just can't see myself painting walls to paint them white a year later. Can't wait until we purchase our home in the next few months--lots of choices then :). Thanks guys! I am excited for the big transformation. Once the paint goes up I can finally hang pictures too! Awesome! I picked out mindful gray from the first set of swatches too! It will look so great!! It's going to be soo beautiful and I can't wait to see it all done! !You have made some beautiful choices!! You always do though!! Did you ever post the final product? 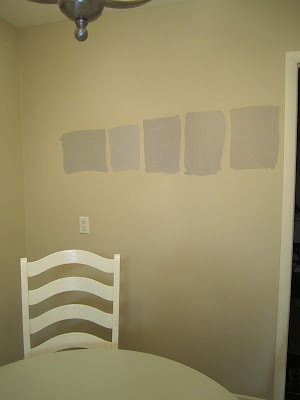 I'm currently looking for the perfect gray and Argos and Mindful Gray are on my list. I'm in love with lazy gray! but for stucco trim lol. its the perfect touch of blue in my opinion. I finally chose lazy grey for my whole house main color. I too have painted samples everywhere around my house, it was the first time I have purchased a sample size container. lol, but at $70.00 a gallon I wanted to make sure I like it.